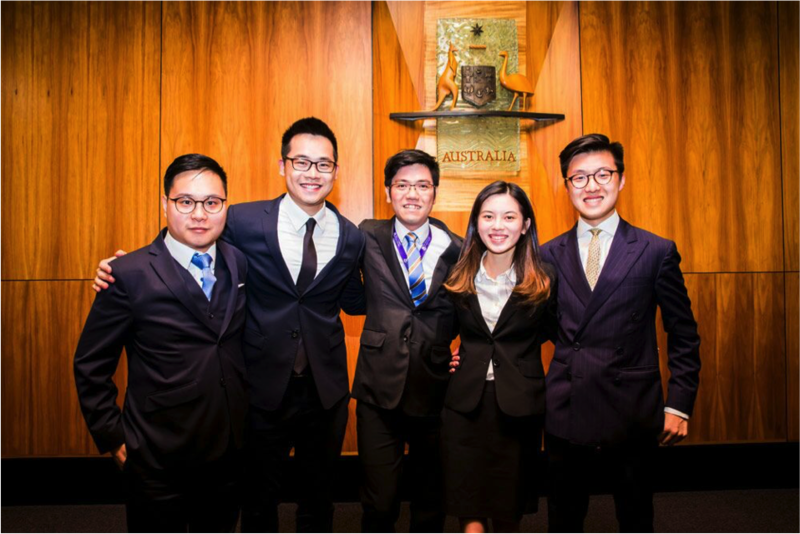 Competing against 29 universities from 14 overseas jurisdictions, the HKU Maritime Law Moot Team was awarded the 1st Runner-Up of the Oral Hearings held in Brisbane, Australia from 29 June to 3 July 2018. The 2018 Maritime Law Moot Team consisted of Alex Fung (PCLL), Justin Ma (PCLL), Ferrida Chan (BBA-Law) and Ryan Cheung (LLB), coached by Mr. Ken Lee. 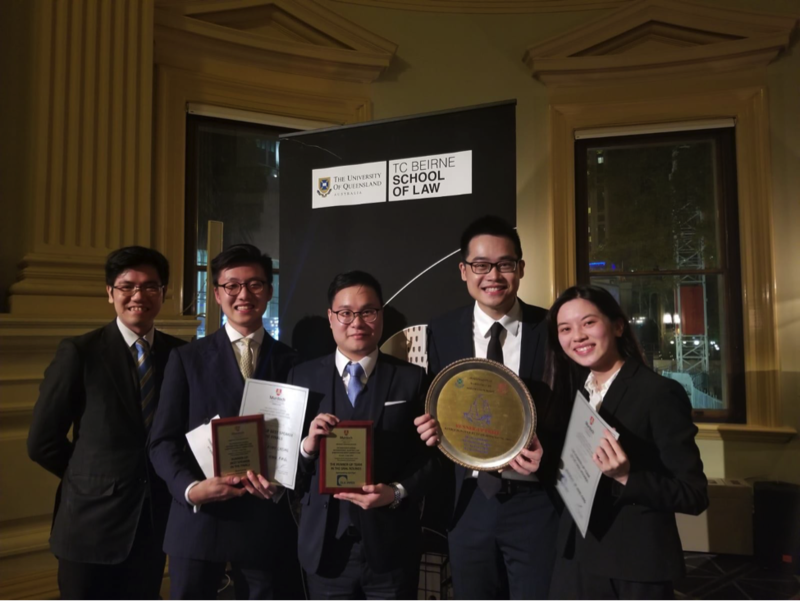 During the group stages, the Team came in 6th overall and later defeated both the National University of Singapore and University of Malaya to advance into the grand finals held in the Federal Court of Australia in Brisbane. Our heartfelt thanks go to Professor Anselmo Reyes, Dr Felix Chan, Mr. Winky So and the previous award-winning team for their comments in various practice sessions; and Mr. Ken Lee, our team coach, for his unwavering support throughout the year. 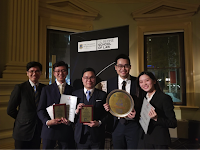 The HKU Competition Law Team won the Best Written Pleadings Award for the written round on route to the semi-finals of the annual Herbert Smith Freehills Competition Law Moot from 15 to 16 June 2018. 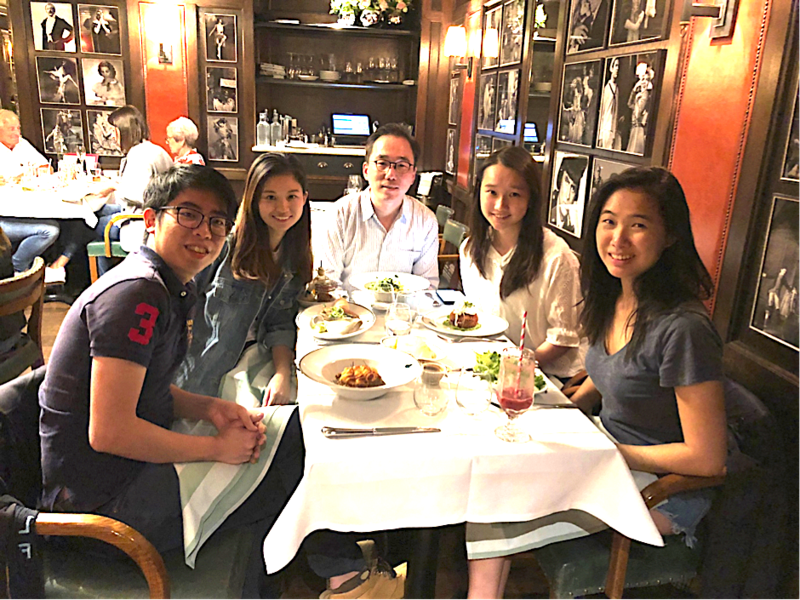 Guided by Mr. Thomas Cheng and Mr. Kelvin Kwok, the 2018 Competition Law Moot Team comprised of 4 PCLL students –Yuet Yi Cheng, Law Wai Tsun Hazel, Ng Chun Wai Jonathan and Karen Tsang Nga Yue. 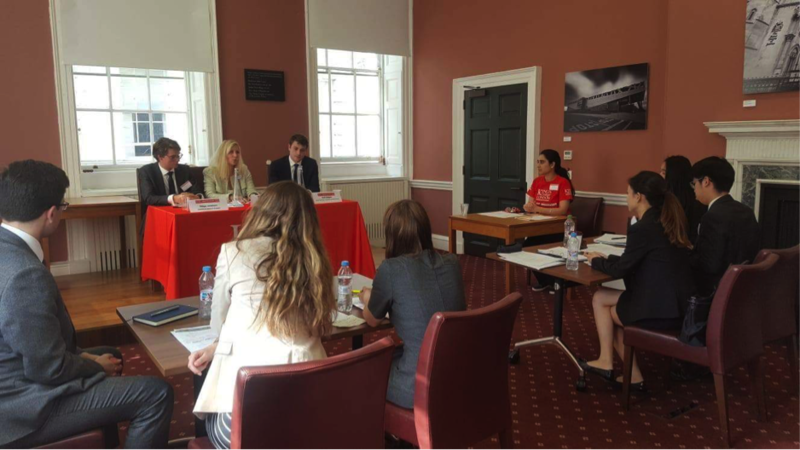 The Team advanced to the oral rounds hosted by King’s College London based on the strength of its written memorandum. After winning all its moots in the preliminary stage with Wai Tsun Hazel capturing an oralist award, the Team subsequently lost in the semi-finals to KCL which was ultimately the winner of this year’s competition. 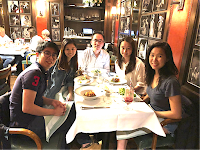 The Faculty is grateful for the valuable support from team coaches Thomas Cheng and Kelvin Kwok and various practitioners and ex-mooters including Mr. Sunny Chan, Ms. Tiffany Chan, Ms. Jasmine Cheung, Mr. Tommy Cheung, Mr. Byron Chiu, Mr. Joshua Kanjanapas, Mr. Kevin Lau, Mr. Joe Lee, Ms. Rosa Lee, Ms. Allison Wong, and Ms. Stephanie Wong for their kind assistance.